Nissan’s Murano has only gotten more elegant, comfortable and stylish as its model years have gone on. The 2018 Nissan Murano arrives with new standard active safety systems across all model trims. Even base models now get a standard forward collision warning system with automatic emergency braking. All models also get standard touchscreen navigation systems and alloy wheels. Add that level of value to the Murano’s bold looks and ergonomically designed cabin, and you can see why drivers all throughout Cherry Hill, Mount Laurel, Collingswood have been eager to park a Murano in their garage. Learn more about what the vehicle can offer you by reading our 2018 Nissan Murano review below, and then visit Cherry Hill Nissan for a test drive to experience the model in person. The Nissan Murano rode at the crest of the crossover SUV wave when its first version debuted in 2002. Clean, elegant lines and a car-like stance have given the vehicle huge amounts of crossover appeal for buyers in multiple segments. Third-generation models, which debuted in 2014, introduced even more exquisite styling, including fluid character line creases and a “floating” canopy effect thanks to the blacked out C pillar. Curves and daring design cues make the Murano stunning from any angle, and Nissan’s choices of striking colors complement the vehicle well. At 16 feet long and 5.5 feet high, the Murano is also the perfect size for comfortably navigating South Jersey traffic without feeling overly large. The interior of the Nissan Murano is what scores it the most points with owners. It includes features like illuminated steering wheel mounted controls, dual-zone climate control, front and rear USB ports, and a seven-inch Driver-Assist display with turn-by-turn navigation directions. 40.5 inches of front row leg room and nearly 40 inches of headroom allow drivers of almost any size to stay comfortable. Nissan’s patented Zero Gravity ergonomic seat design also reduces fatigue and stress, making the cabin a great place to be even in bumper to bumper traffic. Premium options like a leather-appointed interior, heated seats and intelligent cruise control amp up the comfort to even higher levels. All Nissan Muranos come equipped with a powerful 260 hp 3.5-liter V-6 engine coupled to a CVT transmission. The vehicle is tuned for comfortable driving, with minimal body motions and nicely weighted steering. Road imperfections are soaked up by the well-tuned suspension, and sound dampening makes the ride almost whisper quiet. New for 2018 are the added active safety features. Standard is the aforementioned forward collision warning with automatic emergency braking. Optional upgrades include blind spot monitoring, adaptive cruise control, and Nissan’s surround view backup camera that gives you a bird’s eye view to tackle even the most delicate parking maneuvers. 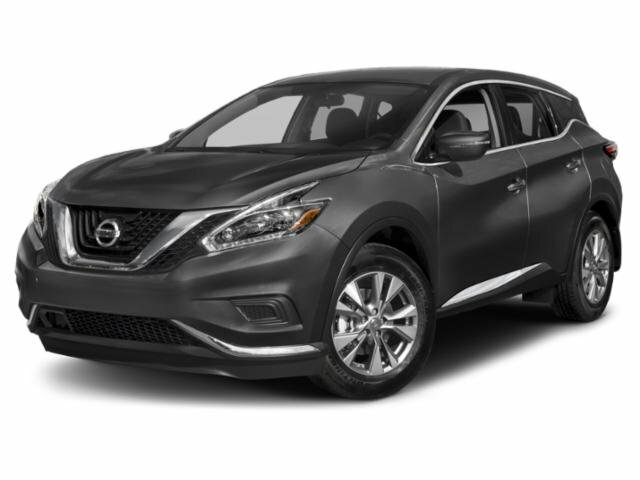 The 2018 Nissan Murano has just about everything Cherry Hill, Mount Laurel, Collingswood drivers are looking for in a vehicle. They can come to Cherry Hill Nissan to learn about the model’s various trim options and configurations before taking their model of choice on a test drive.